There are two dominant approaches to describe and understand the anatomy of complete health and well-being systems internationally. Yet, neither approach has been able to either predict or explain occasional but dramatic crises in health and well-being systems around the world and in developed emerging market or developing country contexts. As the impacts of such events can be measured not simply in terms of their social and economic consequences but also public health crises, there is a clear need to look for and formulate an alternative approach. This paper examines multi-disciplinary theoretical evidence to suggest that health systems exhibit natural and observable systemic and long cycle characteristics that can be modelled. A health and well-being system model of two slowly evolving anthropological network sub-systems is defined. The first network sub-system consists of organised professional networks of exclusive suppliers of health and well-being services. The second network sub-system consists of communities organising themselves to resource those exclusive services. Together these two network sub-systems interact to form the specific (sovereign) health and well-being systems we know today. But the core of a truly ‘complex adaptive system’ can also be identified and a simplified two sub-system model of recurring Lotka-Volterra predator-prey cycles is specified. The implications of such an adaptive and evolving model of system anatomy for effective public health, social security insurance and well-being systems governance could be considerable. 2. WHO. Everybody’s business — strengthening health systems to improve health outcomes. WHO’s framework for action. Geneva: World Health Organization; 2007. 3. Hurst J. The Reform of health care: a comparative analysis of seven OECD countries. Economic and Social Development Paper. Paris OECD; 1992. 5. Light D. The Sociological character of health care markets. In: Albrecht G, Fitzpatrick R Scrimshaw S. eds. The Handbook of Social Studies in Health and Medicine. Sage 2nd ed. London: Sage; 2003. 6. Schieber G, Maeda A. A Curmudgeon’s Guide to Financing Health in Developing Countries. In: Schieber G. ed. Innovations in Health Care Financing. Washington DC: World Bank; 1997. 7. Jackson M. Social and economic networks. Princeton University Press; 2008. p. 20-51. 10. Rothenberg R. Social network dynamics and HIV transmission. AIDS 1998: 12; 1529-36. 13. WHO. The world health report 2000 - Health systems: improving performance.Geneva: WHO; 2000. 15. Bruce M. The Coming of the Welfare State. 4th ed. London: Batsford; 1972. 17. PMSJ. Introductory Address. Prov Med Surg J1840: 1; 1. 21. Barr N. The economics of the welfare state. 2nd ed. Oxford University Press; 1993. 23. Lewis J. The British Empire and world history: welfare imperialism and ‘soft power’ in the rise and fall of British rule. In: Midgeley, James and Piachaud, David, eds. Colonialism and welfare, social policy and the British imperial legacy. Cheltnam: Edward Elgar Publishing; 2011. 24. Leon D. Cities, urbanization and health. Int J Epidemiol2008; 37: 4-8. 26. Vienonen M, Wlodarczyk W. Health care reforms on the European scene: evolution, revolution or seesaw? World Health Stat Q 1993; 46: 166-9. 27. Neubourg C. de. The welfare pentagon and the social management of risks. In: Sigg R, Behrendt C. eds. Social security in the global village. New Brunswick: Transaction publishers; 2002. Vol. 8, p. 313-31. 28. Newhouse J, Phelps C. Price and Income elasticities for medical care services. Santa Monica: RAND (NBER); 1974. 29. 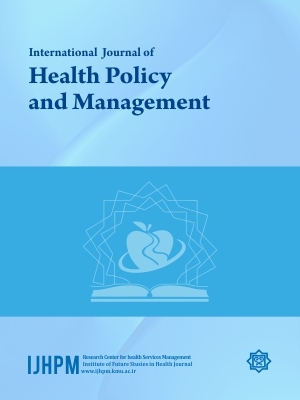 Preker AS, Carrin G, Dror D, Jakab M, Hsiao W, Arhin-Tenkorang D. Effectiveness of community health financing in meeting the cost of illness. Bull World Health Organ2002: 80; 143-50. 30. Lotka AJ. Elements of physical biology. Baltimore: Williams & Wilkins Co; 1925. 31. Volterra V. [Variations and fluctuations of the number of individuals in animal species living together]. Mem. R. Accad. Naz. dei Lincei 1928: 3; 3-51. 33. Duhl L. The social entrepreneurship of change. Pace University Press ;1990. 35. Gee J. An Introduction to Discourse Analysis: Theory and Method. London: Routledge; 2005. 36. Harris Z. A Theory of Language and Information: A mathematical approach. Oxford & New York: Clarendon Press; 1991. 37. Gerow A, Keane MM. Mining the Web for the Voice of the Herd to Track Stock Market Bubbles. Proceedings of the 22nd International Joint Conference on Artificial Intelligence (IJCAI ‘11), Barcelona, Spain, 16-22 July, 2011.